BRIGGS: Is The Austin Chalk Louisiana's Golden Egg? BRIGGS: Is The Austin Chalk Louisiana’s Golden Egg? Easter is one of my favorite times of year to spend with my family. Not only is it a time to celebrate the resurrection of Jesus Christ, but it is a time to get together with those you love, consume endless amounts of boiled crawfish, and watch peep-fueled children hunt down Easter eggs hidden throughout the yard. There are tears for those that don’t, but limitless joy for those that do find that golden egg. Louisiana may have found one in the Austin Chalk. Just north of I-10 lies the Austin Chalk. The formation stretches from Texas to the Gulf of Mexico and cuts through much of central Louisiana. This play is no “new kid on the block” but more of a seasoned veteran who has to show the rest of the state it still has what it takes to make the band. In 1996, the Austin Chalk was considered “hot” and a source of much drilling and economic activity for Louisiana’s oil and gas industry. Over time it fell out of favor. The resources didn’t meet budgets, and companies moved on leaving billions of barrels in the ground. 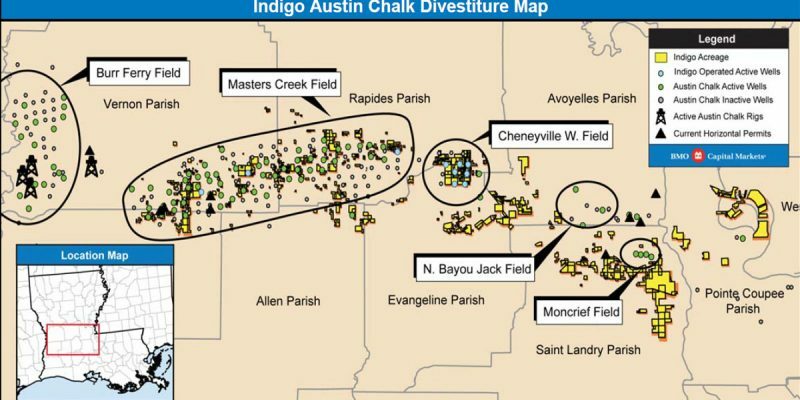 The chatter about the Austin Chalk really started to resonate when EOG made headlines for its leasing of more than 130,000 acres in Avoyelles, St. Landry, and Pointe Coupee parishes in September of 2017, just months after Lafayette-based PetroQuest acquired 24,000 acres. The buzz continues to grow. Just this week, ConocoPhillips announced their plans to sell assets in the red-hot Permian Basin and have already purchased approximately 245,000 acres, most under lease happens to be in Louisiana’s Austin Chalk. The buzz has many elected officials very excited about what this could bring to their constituency. State Representative, and candidate for Pointe Coupee Parish President, Major Thibaut is looking forward to the chalk’s economic impact. “There is a growing sense of optimism in my community about the Austin Chalk coming back on line. In the late 90’s, the Chalk was a powerhouse for job and economic growth. I will continue to enact and support policies that will ensure this chalk buzz becomes an economic boost for my community and state alike,” said Rep. Thibaut. The Austin Chalk will not turn on overnight. Although there have been some promising results, companies will continue to test and survey the play to ensure its profitability. So we must begin to lay the groundwork for what is to come. We must work with community and state leaders to bolster support for this activity. The Austin Chalk may be located only in central Louisiana, but I can promise you it will benefit the state as a whole. Let’s all work together to bring investment to Louisiana and put the hard-working men and women of the oil and gas industry back to work in our great state.